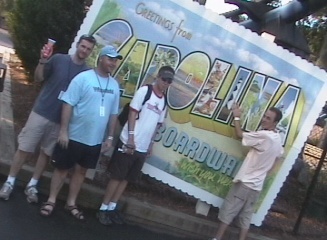 Thursday, May 25 bright and early at 7:00 am 4 members of the whootah clan, Alan, John, Jonathan, and Phil will be heading out towards Indiana for a trip to Holidayworld in Santa Claus, Indiana. We plan to visit several places and will take lots of video and pictures to post when we return! You can read more detailed information about our trip here. Well actually it’s just us planning what to do where to go that sort of thing. But I’m not even sure anymore what our exact schedule is or where we’re going sooo… just wait till we return and we’ll fill ya in.